Tokyo-based Anglers, with a mobile fishing record application of the same name, has recently fundraised from 500 Startups Japan and mobile game developer Ignis, as well as other undisclosed individual investors. The announcement was made on December 1 without disclosing the secured amount. This financing stage is considered an intermediate between the seed and Series A round and the fund is estimated to be at about tens of millions of yen, that is approximately hundreds of thousands of dollars). 500 Startups Japan managed to acquire these share options through the implementation of J-KISS stock acquisition rights system, the convertible notes based funding scheme published by the firm back in April, in collaboration with Masakazu Masujima and KPMG. For Anglers, this fundraising is second to the angel round funding from Japanese angel investor Nobuyoshi Yamagishi conducted in December 2015. Founded in October 2012, Angler is an application that allows users to self-motivate and improve by recording and share fishing outcomes. The company formerly known as FIXA Corporation has experimented with different policies and prototypes, before settling to launch the official version of the fishing-related Angler in July 2013. This June, the firm revealed that the number of daily angling results registered topped 1,000 and the cumulative number of registered angling items reached 280,000 as well as a user base which exceeds 110,000 people. The reason behind Anglers success in acquiring an overwhelmingly large number of angling results is said to be due to the app easy-to-use functions as a social media for information sharing among close friends to share pinpointed fishing spot information. 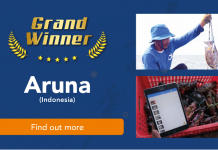 ANGLERS also regularly holds fishing competitions that can be joined through the app. Simply record the fishery caught within the time period and compete with the nation’s ANGLERS user for the record. Excellent records will get prizes provided by sponsors. The company in 2016 alone have held a total of 22 tournaments with 1000 participating users in the latest challenge. With the money secured this time, ANGLERS will add a system for sharing angling results by area or time period. Also, the firm will start building a consumer-to-consumer (C2C) marketplace allowing users to sell the fish they have caught. ANGLERS’ present source of income is mainly through event sponsorship from major fishing tackle manufacturers events as aforementioned. Looking to diversify the monetization methods, the firm also has an idea to implement functions enabling accommodation reservation of angler hotels or fishing agents seamlessly via the ANGLERS app. “We are also thinking about advertisement models, inter-individual transaction services of fishery among others. Since fishing is going to take hours, fishing data that is well organized is in demand” Fujii said. With this, the firm plans to establish a fishing tackle review website for ANGLERS, one similar to Sefuri’s climbing app Yamap which manages a climbing tool review website – Yamap Gears. “Through fishing blogs, one will be able to get information on the types of fish and its location. Similarly, the value and pricing of the fish can be born from fishing data as well, automatically created by the application when backed up with sufficient data,” said Fujii. Besides, the application will also include fishing analysis functions in the near future. That is once reaching the data necessary of about 100,000 per fish species will provide a correlation such as the possible type of fish to be caught along with the environmental data such as the water level. With 500 Startups Japan as one of its investors, the firm backed by the U.S. parent also hinted the possibility of international development for the mobile application. “In India or China, there are lots of people who are angling for their day-to-day meal. But, increasingly, the number of people who seek enjoyment in angling are also rising. And since the angler’s psychology of wanting to keep their favorite fishing spots hidden is the same around the world, we can impact the world by leveraging the know-hows in Japan,” said Fujii. 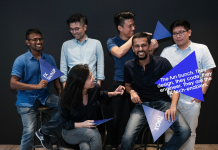 ANGLERS graduated from the second batch of Tokyo-based startup accelerator Movida Japan, along with Sefuri which is developing Yamap. 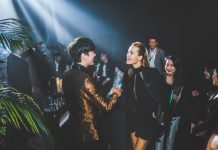 Combining fashion with the trillion dollar “love economy”, the wedding giant Jiahao International Holdings will reshape the global marriage industry.